Wilbur the barn owl, my baby boy, posing for me. 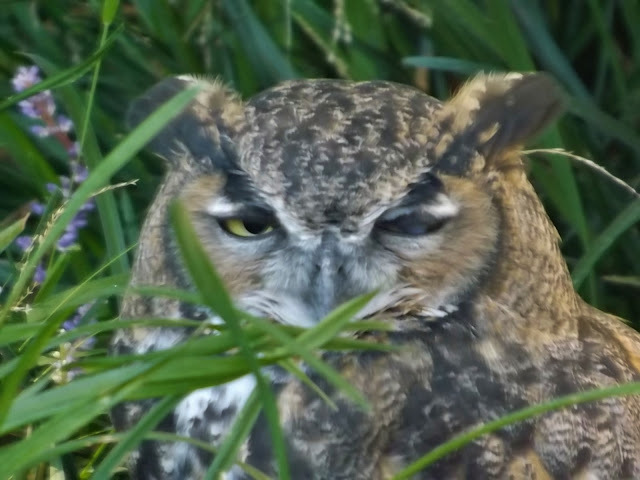 Archimedes the great horned owl winking at me. Taken at the dahlia garden Click the above widget for more great macro photography. Owls are such interesting creatures. Wonderful shots! Wonderful! 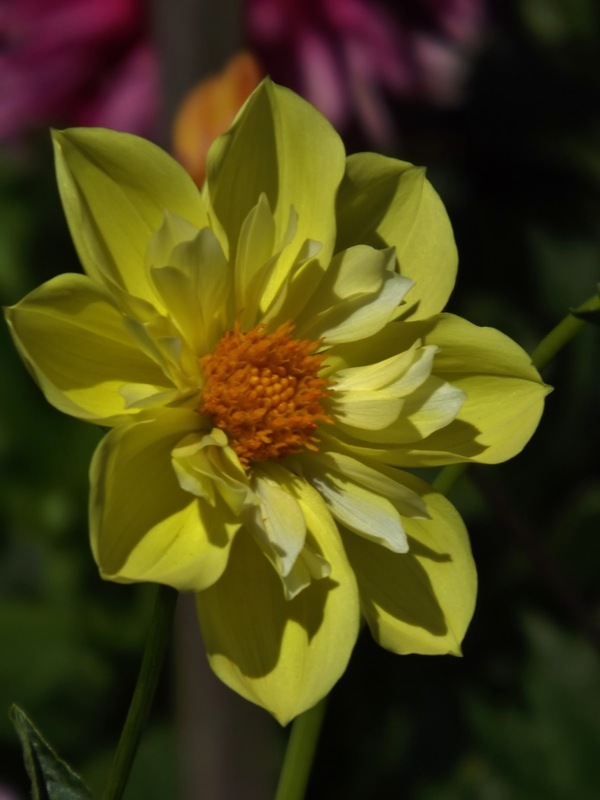 The owls are adorable and the dahlias are gorgeous. 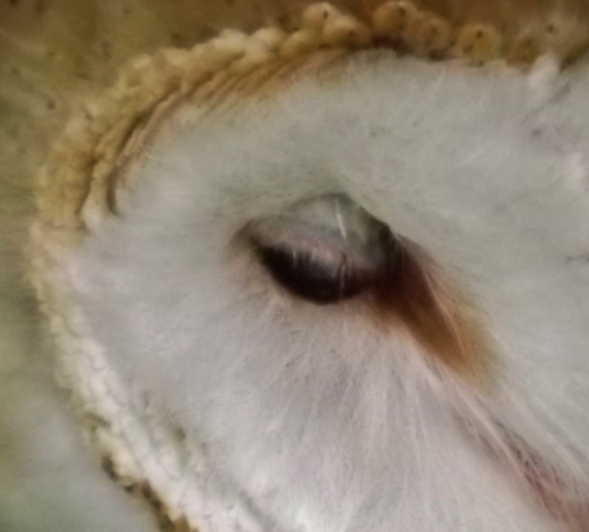 I tried to find Dahlia in the eyes of the owl. I like owls. Very few animals have flat faces like humans. Hi! Very cute owl. 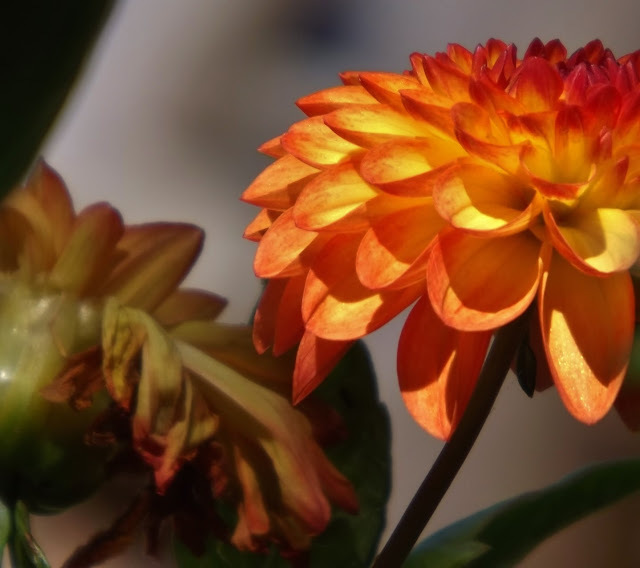 Your macro photos are stunning beautiful. Thanks for sharing. Wonderful closeups of the owl. What a combination! Lovely shots.